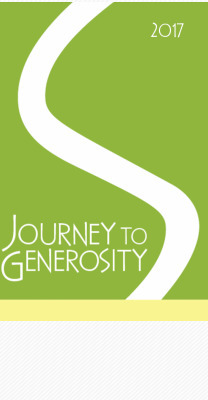 Our Journey to Generosity begins with Generosity Sunday on Sunday, Oct. 15th. Join us for an Inspiring Sermon and a Ministry Minute from a member of our Church at both services, and an informative Forum about the Journey to Generosity. Together we'll learn about what our community needs to thrive in 2018, and how each of us can play our part. If you have a question on contributing, please contact Karen, Parish Coordinator at 952-471-8429, or a Stewardship Campaign Committee member: Cindy Piper, Tom Enlow, Skip Senneka, Dave Jaffray or Gerry Anderson.